AFRICUNIA is the First 100% Fully Digital Crowdfunded African Open Bank- a Digital Bank based on the Blockchain Technology. 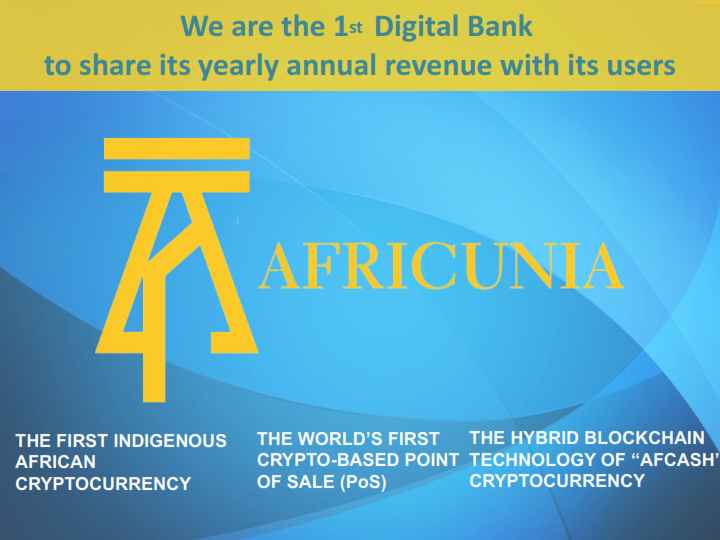 AFRICUNIA as a new and unique Financial Institution is going to offer not only traditional banking services such as opening of savings & current accounts, issuing of debit & credit cards, loans and forex exchange services but also will provide innovative services such as bank-to-bank transactions, interconnecting the world of traditional finance and cryptocurrency startups. Africunia is registered in the United Kingdom as Africunia Limited, providing Global Banking and Financial Services. The “CUNIA” in “Africunia’ comes from the Latin word “PERCUNIA” meaning “money” or “cash.” whereas “AFRI” is the abbreviated version of AFRICA. Therefore translated — Africunia means African Money or African Cash. 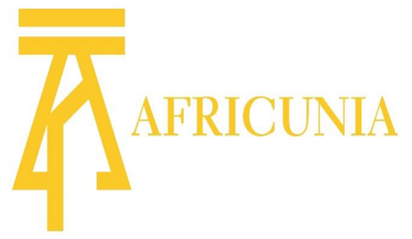 Africuniabintends to bring investment globalization, transparency, and decentralization to the next level by leveraging the ubiquitous Blockchain Technology. Africunia offers a vision for the new standard of tokenized investment platforms that will help to bridge the gap between the fiat and the crypto universes. At its core, Africunia will focus on all aspects of tokenized investment vehicles ranging from technology and infrastructure to legal compliance and the corporate structuring. Our bank offers most tokens (AFCASH) in the form of fully crypto-oriented investments or pegged to transact for gold and currency currencies. Parties interested in decentralization, transparency and exchange can leverage our platform. Investor trust will be boosted once the token fund has been approved by the legal counsel. Risk factors will be transformed into opportunities to sustain the investment process. Through the development of standard platforms, large investments will be withdrawn through a token fund. Our Bank believes that we will continue to introduce industry standards for the purpose of setting up a token investment forum. Openness and accountability will be elaborated through tokenisasi interests of funds and profit shares. The investment manager will get approval using the AFRICANIA BANK platform to enable them to establish and run a token investment fund. This is possible without going through the development of IT payload and infrastructure. AFRICA plans to scale to offer traditional and emerging banking products in a tech-driven Blockchain era, which eventually becomes a one stop shop for all banking requirements. We are in the process of implementing AFCASH – crypto-based on the AFRICUNIA Protocol Consensus Algorithm (APCA) to address the currently solved, partial issues of truth, consensus and utility. Our main goal is to develop new standards for forested investment that will act as a catalyst to bridge the gap between fiat and cryptocurrencies. We offer a vision for a new standard of tokenized investment vehicles that will help bridge the gap between conventional and crypto universes. In particular, the AFCASH platform will be a one-stop shop solution for asset managers who want to create and manage the appropriate funds. In essence, AFRICUNIA BANK will implement the benefits of Blockchain technology everywhere in the world of traditional investment. If you ever hesitate to use Blockchain Technology for a classic investment, then our AFCASH is your solution. It combines all aspects of tokenized vehicle investment ranging from technology to infrastructure and legal compliance to creating responsible “cryptocurrency”. Our Blockchain technology will decentralize every system, and will incorporate the following features: scalability, flexibility, and usability. This will be expandable, will have a SMART CONTRACT with provisions for Blockchain applications and other businesses for the development of our Blockchain. 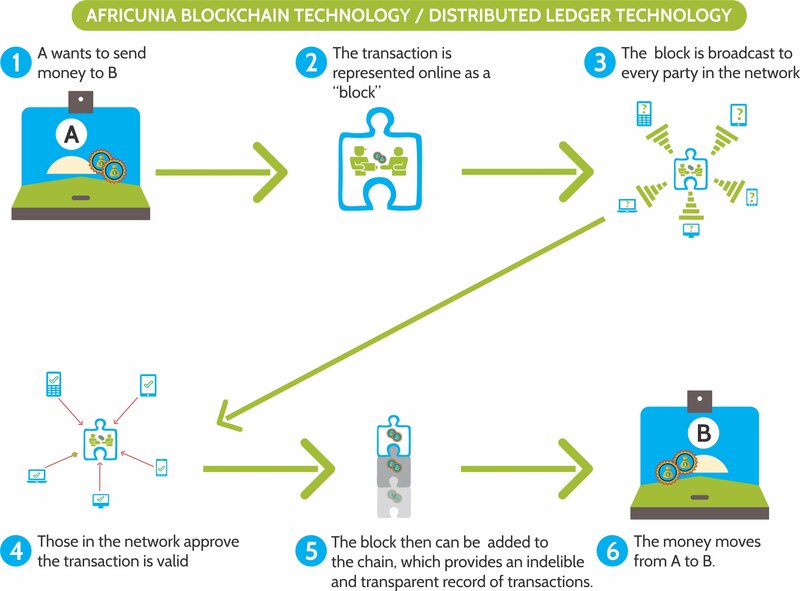 Africunia Blockchain Technology will include browser-based ECOSYSTEM for simplicity and adaptability. We also develop Digital Pass Technology and most importantly we will meet the requirements of Security and USER EXPERIENCE (UX). We built something based on a Security Token (Digital Coin), which has an additional layer, called the legal layer to incorporate standard KYC / AML banking protocols, so we combine features and attributes of modern banking with digital. currency. Already, some banks have begun to develop methodologies and very easy standards that align technology with responsible innovation. In 2016, the IMF and World Bank hosted a conference hosted by the US Federal Reserve where it is estimated that 90 Central Banks are committed to researching Distributed Ledger Technology (DLT), Blockchain and digital currencies to create responsible digital currencies. Blockchain is an undeniable discovery and the good news is that we are developing it. Our Blockchain technology will decentralize every system, and will incorporate the following features: scalability, flexibility, and usability. This will be expandable, will have a SMART CONTRACT with provisions for Blockchain applications and other businesses for the development of our Blockchain. Africunia Blockchain Technology will include browser-based ECOSYSTEM for simplicity and adaptability. We also develop Digital Pass Technology and most importantly we will meet the requirements of Security and USER EXPERIENCE (UX). We built something based on a Security Token (Digital Coin), which has an additional layer, called the legal layer to incorporate standard KYC / AML banking protocols, so we combine features and attributes of modern banking with digital. currency. AFRICUNIA introduces an innovative banking model that enables the use of digital currencies without the hindrances, risks and technical barriers associated with ownership, transfer, and crypto trade and evidence. Open exclusively for investment during ICO, AFRICANIA is a third – generation closed-end fund that uses BlockRain Technology AFRICUNIA to create a bank-2-bank and a peer-to-peer cryptocurrency called AFCASH. If ICO succeeds, AFRICUNIA will move to a full-fledged digital financial institution that is accessible everywhere, 24/7. It will function like a conventional bank, but it will not host any branch or physical front office. 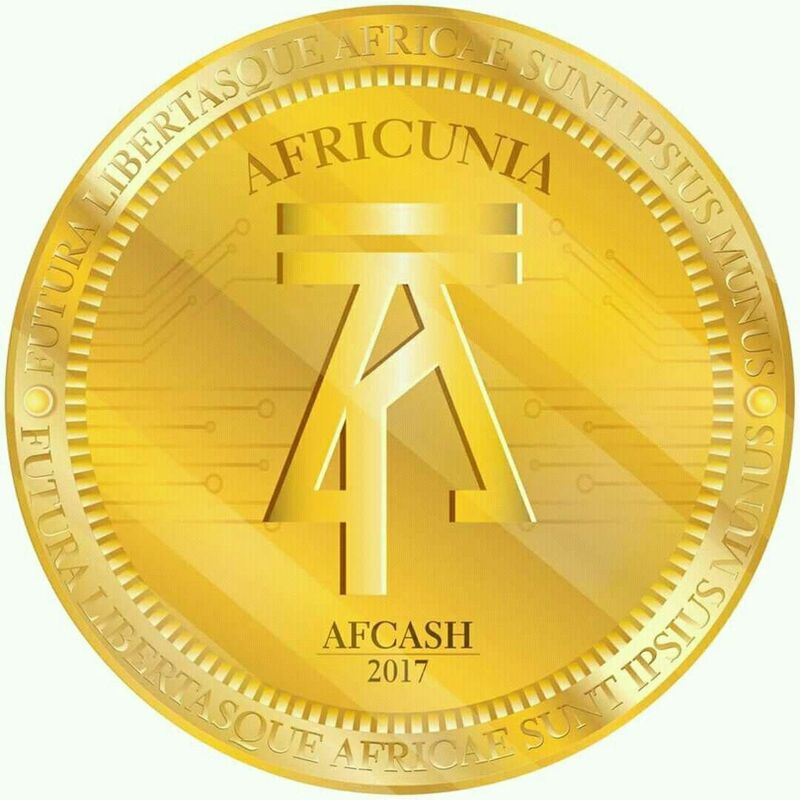 In other words, AFRICUNIA is a virtual bank that will publish AFCASH using AFCICUNIA Blockchain 3.0 Technologies. In fact, AFRICUNIA created a missing link between conventional banking and the new world economy dominated by Blockchain 3.0. 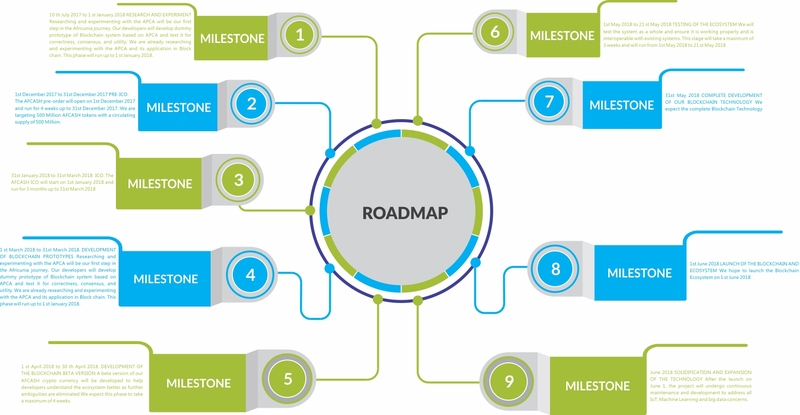 This Whitepaper includes a road map of business details, technical and project regulations, step-by-step and technological milestones that will be developed as AFRIKA’s infrastructure base. To stay within the limits of conventional banking, we will use the API (Authorized Payment Agent) for using appropriate service and innovation standards. The base of AFRICUNIA BANK is an increase in capital invested according to customer development which in turn maximizes profit. In addition, as far as technology security is concerned, our network architecture is decentralized. Therefore, data storage, cryptographic encryption and security mechanisms for the identification, authentication and authorization of individuals or corporations are linked by the instrument. Nevertheless, data processing is done automatically by using the applied AI algorithm. On this page there are some of our technology. The fund structure may differ from one case to another. While it will evolve as new information becomes available, it will be run by a reputable legal counsel that will keep an updated reviews of what has been published. • The public contributors will be allocated 50% of the AFCASHs. • The company reserve will be assigned 30% of the AFCASHs. The reserve will form part of the company’s source income after the distribution period and will be allocated on a partial basis among the direct contributors and the core team of the business where necessary. • order to continue motivating the core team after the distribution period. 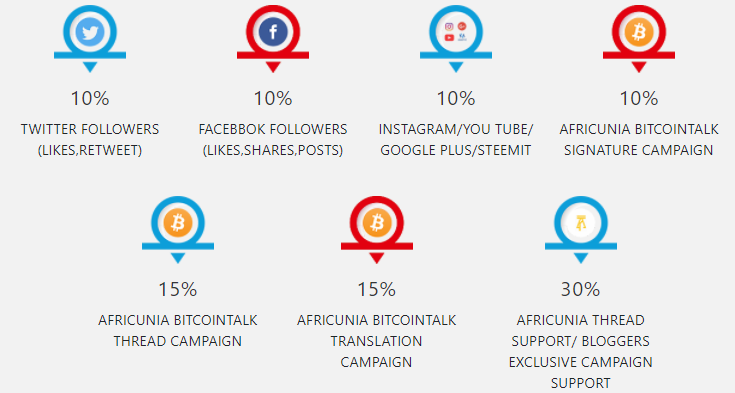 Sharing revenue: at the end each financial year, 20% of africunia bank’s profit will be distributed among all holders of our token (afcash) based on each holder’s share of total amount of tokens issued, and this will be automatically paid out to our coin users in their respective wallets. In other words, you are entitled to africunia bank’s revenue. Consider this as a passive income.